On 29 October 2008 Kaizer Chiefs played Celtic FC in a PSL match at the Seisa Ramabodu Stadium in Bloemfontein. It was a sell out crowd and the atmosphere in the stadium was absolutely magnificent. 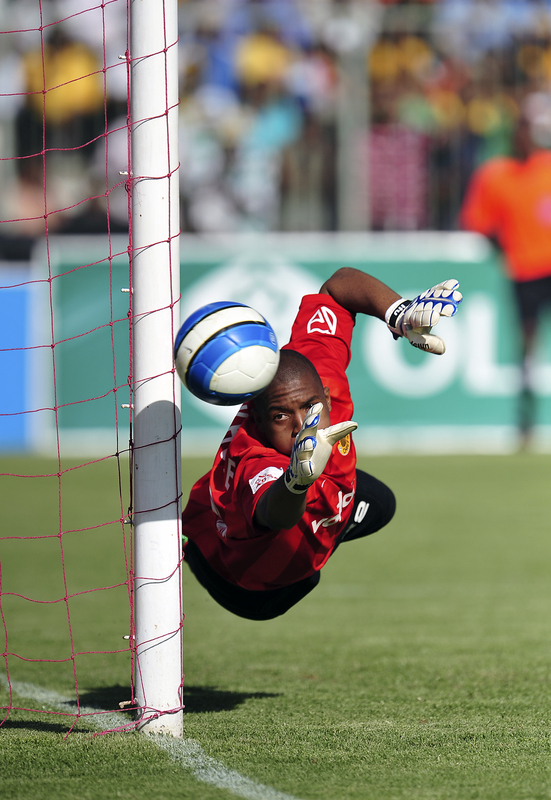 I got a nice shot of Kaizer Chiefs goalkeeper, Itumeleng Khune trying to save a goal. I saw the game moving to the middle and instead of focusing on the strikers, I prefocused on the goalie and got away with this shot. The settings on my D3 were 1/2500s at F5 , Auto WB and the picture control on vivid. I used the 400mm F2.8 with a 1.4 converter and I was sitting right at the corner of the field. Nice, Gerhard. I enjoy your shots!